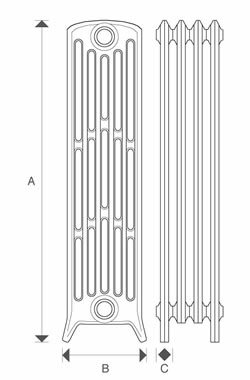 Cast Iron Radiators in 6 columns from our designer range of Sovereign Cast Iron Radiators at 960mm high or 37 6/8 inches are the tallest in this series. 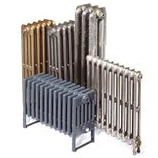 Sovereign Cast Iron Radiators are available in several complimentary heights, there is also a 4 Column version of these Sovereign Cast Iron Radiators. As standard column radiators come finished in a primer, with the option to have them painted in any standard RAL colour or fully polished these can be finished to suit any property, be it a period building or contemporary.